Now open for applications, SophiaTX Blockchain Academy aims to provide business professionals with the right blockchain know-how to transform companies globally. SophiaTX was one of the first public blockchains with a real use in business and one of the first projects extending business applications with blockchain while ensuring data safety and security. The company focuses on business solutions primarily, using the Blockchain as an enabler for this. By joining the SophiaTX Academy, participants will be able to explore clear-cut blockchain use-cases and learn why blockchain technology offers greater efficiency and higher reliability of information in complex supply chains. Students will also learn how to recognize new uses cases and operate this technology independently. 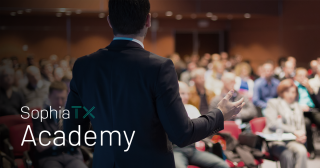 In order to accommodate different audiences and offer knowledge tailored to the needs of each, SophiaTX Academy boasts specialized blockchain courses tailored for executives, SAP and IT professionals, project managers, and anyone else wishing to dive into the world of blockchain. A successful completion of the course will result in a certificate from SophiaTX—denoting a competence in handling blockchain technology. The first SophiaTX Academy courses are scheduled for Feb. The company currently offers classes delivered on-site in the Bratislava and Baden offices. Alternatively, the possibility for a presentation delivered on client premisses can also be discussed with SophiaTX, with online courses in the works for the future. To learn more about SophiaTX Blockchain Academy, visit academy.sophiatx.com.